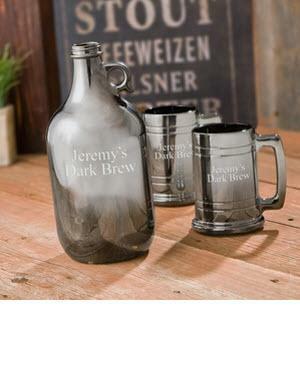 Personalized Gunmetal Beer Growler Set includes 2 steins with the same personalization. Personalized with 2 lines up to 15 characters per line. Please enter personalization exactly as it is to appear. Price: $60.00 In stock! - Browse this brand: JDS MarketingOur products are custom made to your specifications. This product ships up to 2 weeks after your order is placed.